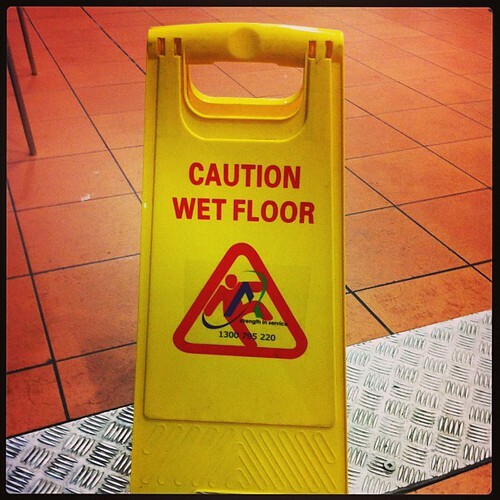 When warning signs go up to for floor cleaning, often they are just to make you aware of the dangers of slippery floors. Where as, this one for Portal floor cleaning warns not to step too close, or you might get sucked in. This entry was posted in Games, Humor, Photos and tagged computer games, photo. Bookmark the permalink.